I have another Blackheart Beauty stacked polish to share with you! 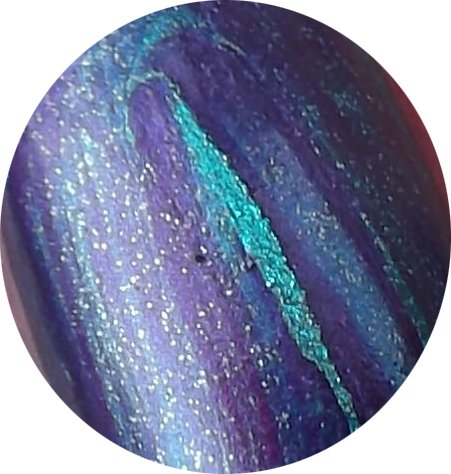 This one is called Bruiser and is stacked purple, blue, and green. It's almost like the green is metallic but the other two colors aren't in this one. Some of the shimmery streaks come through with the green, but after the first brush load, it is mixed and mostly purple, hiding a lot of that shimmer. You can tell the middle nail is the first one I painted because it has the most variation of colors. I do wish these would streak better and stay separated longer, but I love playing with them nonetheless!